The ThINKin' Spot: Some Flower Soft Projects and What we've been up to! Some Flower Soft Projects and What we've been up to! Well, I guess it's about time I made a blog post this week! Geez! Does time ever get away from me anymore. It seems life is just busier than normal lately, and trying to cram in everything we can before Summer is over sure hasn't helped. We had a great time at the Missouri State Fair, but after 5 days of camping, LOTS of walking, and then the aftermath of all the unpacking and putting away, I'm EXHAUSTED!! We'll add to that all of the work we've done around the house, like new flooring throughout, and we're "Do It Yourself-ers" around here. We spent most of this week without a working kitchen as DH has been putting new tile down in the kitchen. Just got the stove back in this morning, and we'll have some photos of the new floor soon. Still got a few more scrubbings before it's up to par. Oh, and I CAN'T let this post get away from me without sharing with our our discovery on Saturday night! Some of you may have seen it on my Facebook page, but I'll share it here, too. It's almost too bizarre to believe, but photos don't lie! Allen got all showered and was getting ready to go to bed on Saturday night, and when he went to turn back the bedspread, he was in for a surprise!! He noticed pieces of splintered wood on the bedspread, and he couldn't quite wrap his head around what he was seeing. It just takes a while for the shock of finding something like this to sink in! We remembered hearing someone doing some shooting around 8 p.m., but we didn't think too much about it, because living in the country as we do, people often shoot trap, or at targets on neighboring farms. It did sound a little louder than usual, and a little closer, but we had all of the bedroom doors shut to keep kiddos and our pet critters out, SO that's why we didn't discover this until bed time. Apparently the neighbors directly east of us were doing some target shooting at the bank in front of their house, which would put them pointing their guns directly at our house, minus the bank. From all indications, someone isn't a very good shot, because they missed the bank, and the bullet traveled about a half mile through the corner of our bedroom window, through the solid oak headboard, and ended up somewhere in our room. We've looked, searched the closet and everything, but so far we haven't found the bullet. The young man responsible did come by Sunday morning to see what had happened and he did let us know that he would pay for the damage, so that was a good thing, and I did ask him to please find a different place to target shoot from now on. We're very, VERY thankful that no one was in the room at the time, because the whole bizarre event could have been so much worse!! SO, even with all this CRAZY stuff going on, I have found some time to craft. Here are a couple of my recent Flower Soft projects. I hope you like 'em!! This card was created with the new Window Stamp set from the Timeless Collection of stamps from Katy Sue Designs. The image was stamped with Memento Tuxedo Black ink and I colored it with Copic Markers. I used some Flower Soft Sprinkles in the areas surrounding the candles. I chose the Flower Soft Vintage Christmas mixed colors for this project and it looks SO pretty in real life. The photo just can't do it justice! My second card was created using one of the stamp sets that has been released this week at Katie Sue Designs. This sweet mouse comes from the new Tall Tales line of stamps. You can find this cutie along with a sweet robin in the Robin and Mouse stamp set. I used the snowflake flourish that was a part of that set as well, and I heat embossed it with white. I love the way it turned out!! I think that about does it for this post! 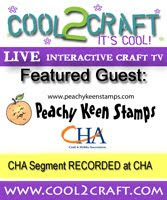 Thanks for stopping by and happy stamping!!! Love your cards, Lorie! Especially the window card as I love candles. You guys are lucky and I hope the guy holds to his word and does his target practice somewhere else. It's amazing how far bullets travel. We live in the country and I worry about our house getting shot into at times. I almost got shot when the neighbors bullet hit a rock and ricocheted right past my head and hit our shed! Very scary! Oh, Lorie, I am so grateful that you and Allen were not in your bedroom when that bullet went through! How scary!! On the other hand, nothing scary about your beautiful cards! As always, your designs and coloring are so awesome and an inspiration to me!! Thanks!!! Sending you love and hugs!!! OMG your story seriously got my hurt pumping scared. I am so glad and Thank God that No one was in that room or no one was hit. ON a happy note, Gorgeous cards like always my friend. Wow, Good for you. That young man made a SERIOUS error in gun safety judgement! Lives could have been lost! Lucky for all he ONLY shot through a window and bed frame. So sad just the same as its just one more example of bad gun handling. On a more positive note: The cards that you crafted are beautiful and sweet! Thank you for sharing your talent and your story with your followers!